Sometimes you go into a Florida swamp to study turtles and end up encountering a two-foot-long salamander previously undescribed by science. That’s what happened to biologist David Steen back in 2009 when he pulled up one of his turtle traps from the swampy waters around Elgin Air Force Base. The trap didn’t contain turtles, but he did find a giant, eel-like salamander resting comfortably inside. “It was just kind of sitting on the bottom of the trap, waiting patiently,” Steen says. Steen was a lot more excited than the animal in front of him. He knew he was looking at an amphibian few people had ever seen before. Others, it turned out, had also suspected the presence of an unknown species. Locals have long spoken of a mysterious creature they called a “leopard eel,” and Robert Mount’s 1975 book The Reptiles and Amphibians of Alabama mentioned an unnamed siren, but no one had been able to prove its existence. For more than a decade, people had stopped looking. Easier said than done. They knew roughly where to look because of the museum samples and other accounts, but it still took more than two years before Steen found the single live salamander in 2009. 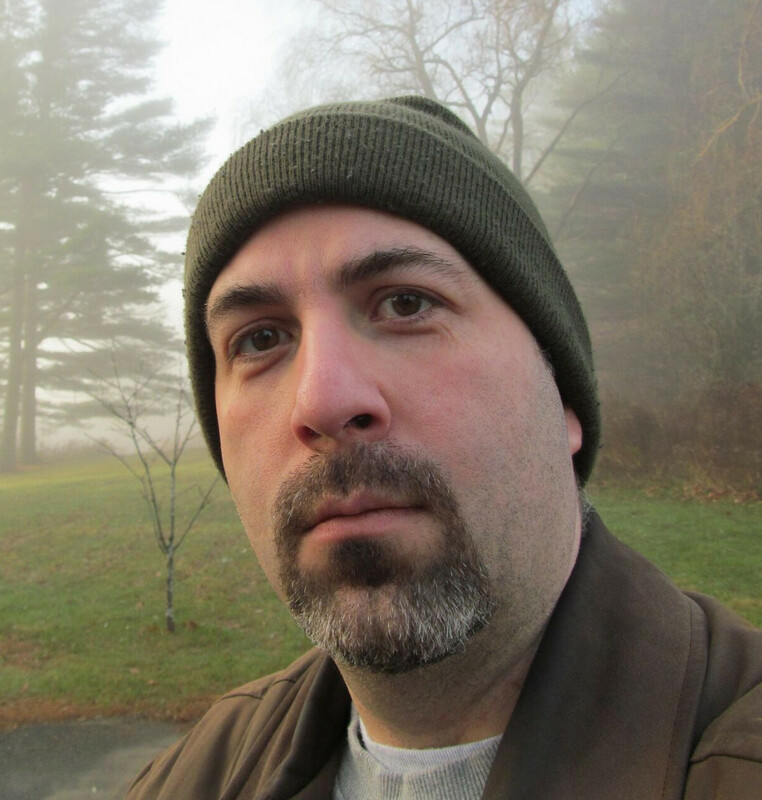 Several failed attempts followed before they finally found three more specimens in 2014. Studying those four animals took a few more years, all work done on their own time and without an official research budget. The hard work paid off, though. A paper by Steen, Graham and other researchers published today in the journal PLOS ONE describes the new species and names it the reticulated siren (S. reticulata). 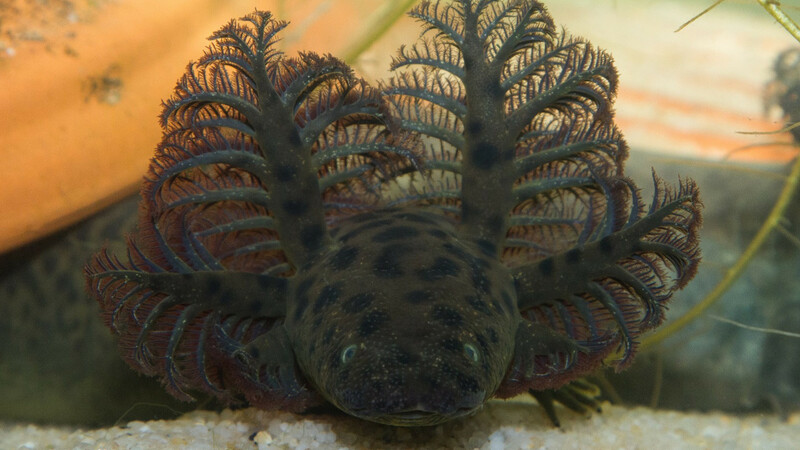 According to the paper the completely aquatic salamander lives in northwest Florida and southern Alabama and has a slimy, eel-like body with irregular spots on its skin, two forelegs, no back legs, and a set of gills just behind its head. It’s about the length of North America’s largest salamander, the Hellbender (Cryptobranchus alleganiensis), but much slighter of build. That all adds up to a highly unusual animal — and one of the largest vertebrates described in the United States or Canada in the past few decades. That possible future protection could be important. The paper doesn’t get into the reticulated siren’s potential conservation status, but a press release about the discovery calls it “at least vulnerable to population declines.” That’s because its habitat in the U.S. Southeast is increasingly under pressure from a growing human population, development, agriculture, logging, climate change and other threats. And believe it or not, it might not be alone. 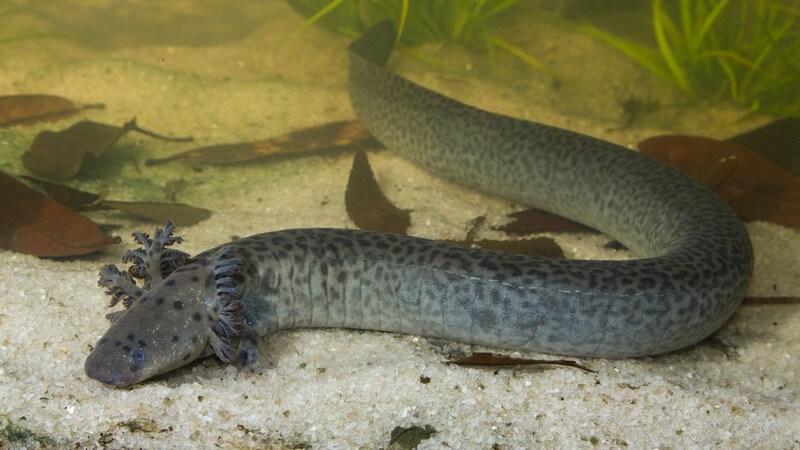 Genetic tests conducted for the paper suggest that other undescribed giant siren salamander species may also be out there in the Southeast, waiting to be discovered. “We really need a formal revision of this entire family of salamanders so we can figure out their biology and their conservation status and bring them into the 21st century,” Steen says. That echoes Steen’s final message about the siren: There are still numerous species yet to be discovered, and like their known counterparts they’re all facing a growing number of threats. The time to save these species grows shorter with each passing year. “We just don’t know what we’re losing because we haven’t done the formal work to figure out what species are still out there,” he says. For at least one species, though, that first step has finally been taken.